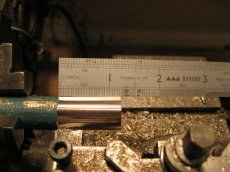 This example shows the machining of a 25mm long bush with a 12mm inside diameter and 15mm outside diameter. 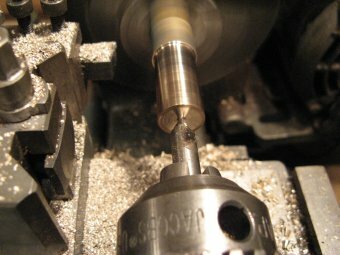 First a piece of bronze was mounted in the 3 jaw chuck and the end was faced square. 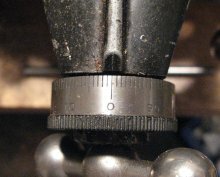 A datum cut was taken along the length of the bar with the cross slide set to zero. 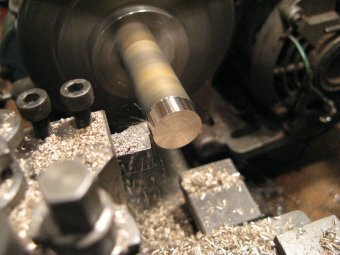 The bar diameter was measured and successive cuts were taken to achieve the final outside diameter. 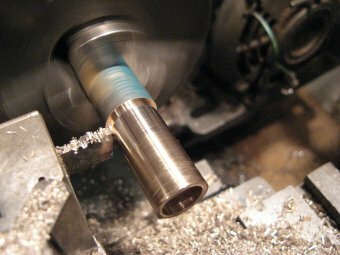 All the cuts were made slightly over length to ensure the final length could be achieved. 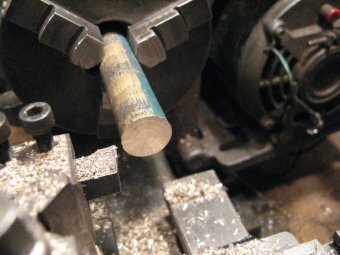 The centre hole of the bush was centre drilled and drilled slightly undersize. 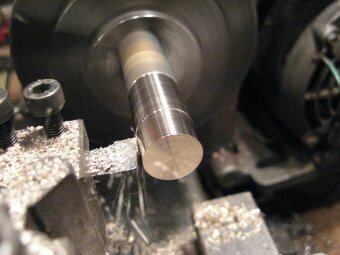 The hole was drilled without removing the work from the chuck to ensure that the inner and out surfaces of the finished part would be concentric. 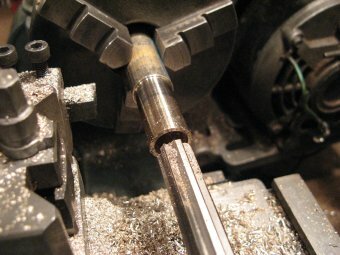 The finished bearing was parted off from the bar stock slightly over long. 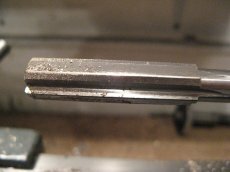 Finally the bush was re-chucked with the parted end outwards and it was measured and turned to final length. 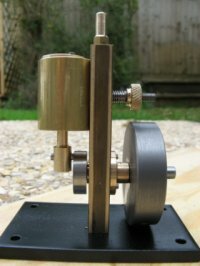 This photo shows a simple steam engine designed as a machining project for a beginner. 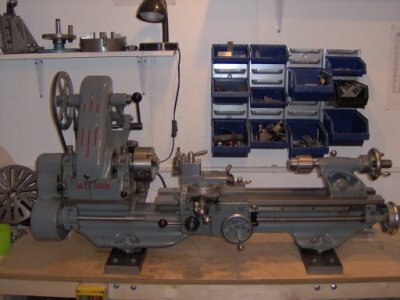 Instructions can be found here.